Uwe Drescher was born in Germany in 1959. He graduated in Biology and Biochemistry at the University of Heidelberg (Germany) in 1986, where he also obtained his Doctoral Degree in 1990 with P. Gruss. He subsequently joined the University of Zurich (Switzerland) as a postdoctoral fellow in the laboratory of H. Möhler. In 1991, he took a group leader position at the Max-Planck-Institute for Developmental Biology (Tübingen, Germany) in the Department of Friedrich Bonhoeffer. In 2000, he took a Senior Lecturer position at the MRC Centre for Developmental Neurobiology, where he was appointed to a Professor for Molecular Neurobiology in 2007. 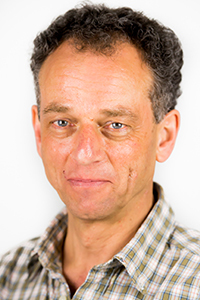 Uwe Drescher is member of the Faculty1000 for Developmental Neurobiology, committee member of the French ANR, and co-organizes the bi-annual meeting of the ‘Molecular mechanisms of brain wiring’ currently held at the IST (Vienna).